I have loved books since before I could even read. The idea of words and pictures weaving together to tell a story captivated me and frankly, they still do. A funny thing I’ve noticed though, is that the books that I read as a child have stayed in my mind much more vividly than those I’ve read as an adult–and they tend to be more meaningful. Even after all these years, I can still name the first chapter book I ever read (Hitty: Her First Hundred Years by Rachel Field) and can still picture the illustrations of some of my favorite childhood stories. With this in mind, I’ve tried hard to gather beautiful and well written books for my children, in hopes that they will quietly make an impression on them as well. And I’ll be honest, they are also books that have made an impression on me and have become favorites in our family during particular season, or all through the year. 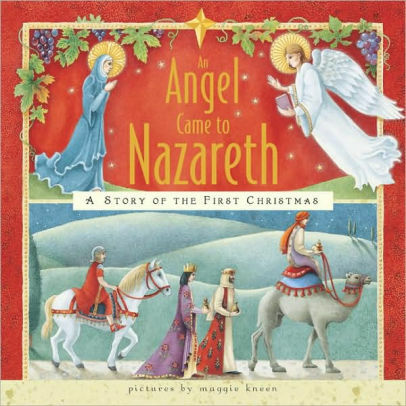 This gentle book with its gorgeous illustrations tells a simple story about various animals choosing what important person they will take on a journey to Bethlehem from Nazareth. The different animals choose various good people to transport, with the donkey going last and choosing Mary, heavy with child. The underlying theme is that sometimes the most important job doesn’t ‘look’ the most important at first glance, but can come to make all the difference in the world. The illustrations are perfectly suited to the story and evoke the feel of an illuminated manuscript and are embossed with gold embellishment. Its definitely a book a child will want to pore over to discover all the little details, and the rhyming nature of the prose makes it very easy to read. 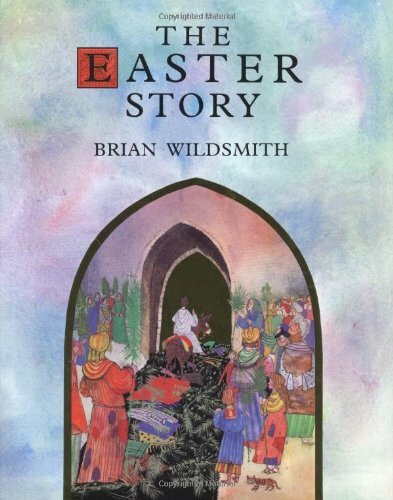 This vibrantly illustrated book may be my favorite children’s book pertaining to the Easter Story. Because, lets be honest, the Easter story is hard to tell, especially for little ones. There’s a fine line to walk between holding back too much of what’s important about the sacrifice of the cross, while also not making certain aspects of the story too scary for small readers. This book doesn’t shy from the final bleak moments of Jesus’ life on earth, but tells it simply and with a light touch through the vantage point of the donkey that Jesus rode into Jerusalem. The illustrations in this book are what really make it shine though, because they are so magical—done in dreamy watercolor with highlights of gold. They remind me a lot of the work of Marc Chagall, which treats the story with much more reverence than some cartoon-like depictions I’ve seen in other Easter children’s books. 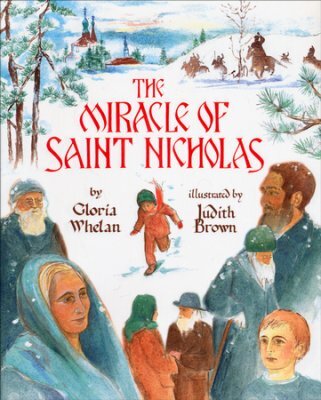 This beautiful book is one of my very favorite stories involving a saint. The story takes place in a remote Russian village where a boy is spending the day with his babushka, and asking questions about life before the country was communist and the boarded-up church in the village was open for worship. His grandmother’s happy memories of the church, which was named in honor of St. Nicholas, inspires the boy to sneak into the abandoned space and start cleaning it up. This lovely little books ends with the entire village coming together and bringing out the special items from the church that they’ve been hiding for decades and bringing the church back to life. The illustrations are also very beautiful and ethereal, with the faces of the characters drawn in a way that resembles traditional Russian icons and painted in egg tempra, just like icons are. If you’re looking for a book that is something other than a traditional Bible story or traditional saint biography, this is a great book that we go back to again and again. This book is one of our new favorites, following the late-night routine of a monk studying beautiful illuminated manuscripts and his faithful cat companion, at work chasing mice. What is so interesting about this book is its wonderful format—it is illustrated much like a graphic novel, with several scenes in a page intermingled with text. The story is simple and engaging enough that my toddler enjoys it, but the formatting also catches the eye of my 10 year old so that she’s interested as well. 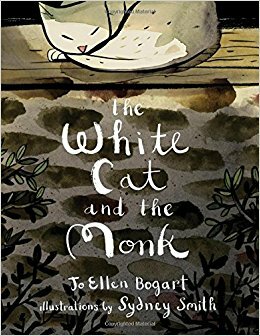 The White Cat and the Monk is a soothing and quiet story perfect for bedtime reading, but the timeless questions the monk seeks answers to can also inspire some great conversations about faith. It is also good reading for any season. All of these books should be available at major book retailers and Amazon. They make great additions to a child’s growing library and are some of the best I’ve seen. I hope you enjoy them as much as we do! 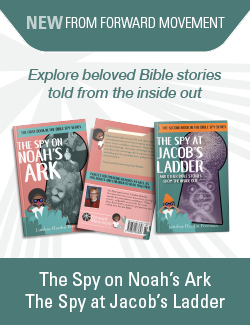 Do you have a favorite children’s book for sharing faith? What is it? Thank you! These are all new to me, and it looks like I have some wonderful reading ahead with my kids. I appreciate books with beautiful art–which can make the experience. Thank you so much for this! These are all new to me as well. I have been brainstorming a recommended book list (by different age groups) for parents at our church and this is wonderful.